Does your blog consistently provide quality content that gets results? If you want your readers to take action based on your blog posts, then follow these eight steps for remarkable blogging results. As stated in Copyblogger, 8 out of 10 people will read a headline, but only 2 out of 10 tend to proceed to read the rest of the post. First impressions really do count! Orbit Media’s own Andy Crestodina wrote How To Write A Headline That Won’t Get Ignored: 7 Point Checklist. These tips include using numbers in your headline so readers know exactly how much content to expect and using power words to increase traffic. You are only as valuable online to your blog readers as your content is useful or entertaining. Hopefully your content is both! Do you offer actionable advice that solves your readers’ problems? Are you giving them information that cannot easily get elsewhere? 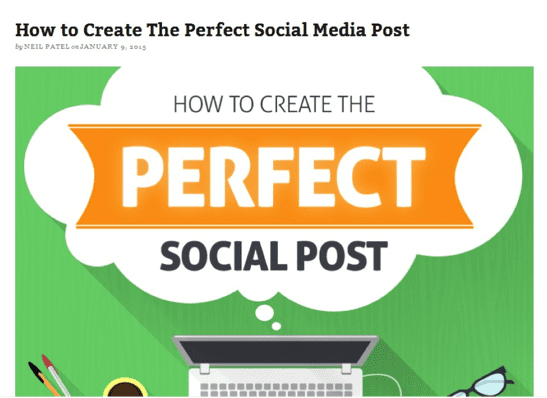 QuickSprout put together a useful infographic about creating the perfect social media post. This is a great visual that covers posting on YouTube, Facebook, Twitter, Pinterest, and Google Plus. Our minds process visual information much faster than we can by just reading. 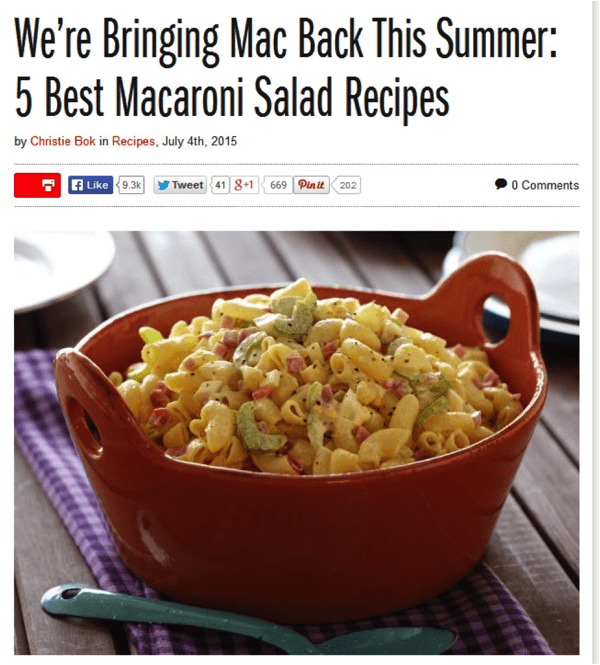 This Food Network post about their 5 Best Macaroni Salad Recipes shows a colorful picture of a macaroni salad that instantly inspires readers to want to make these delicious looking recipes! Do you have appealing colorful images? Do your pictures relate to your content? Do your pictures inspire the emotion you are seeking from your readers? Telling stories puts you in a position of someone with experience and authority and you instantly become more relatable to your audience. Addicted2Success blogged about 6 Ways Your Personal Story Connects You To New Clients. Personal stories may be the fastest and most memorable way to connect with others. Since you revealed something personal, readers may feel like they know you and your company, therefore they can trust you. 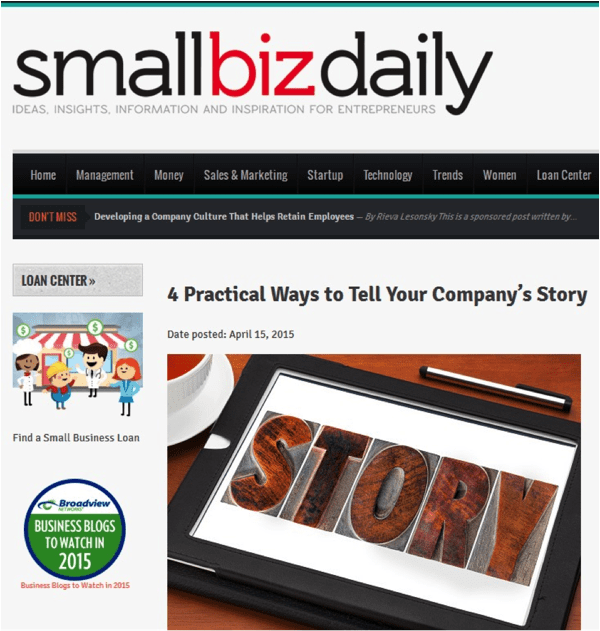 Small Biz Daily shared 4 Practical Ways to Tell Your Company’s Story to teach companies how to reveal important milestones and tell their passion story. Blog posts can include useful lists, video testimonials, amazing infographics, and so much more! Mix up your content formats so that your content never appears stale. For each piece of content, ask yourself the best way to format this particular information. Readers appreciate learning information in a variety of different ways. 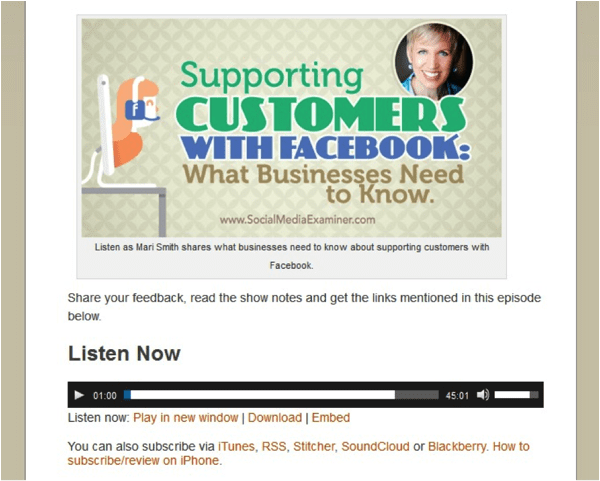 For example, Social Media Examiner’s Michael Stelzner (SME Founder & CEO) has a regular podcast like this one with Mari Smith about Supporting Customers With Facebook: What Businesses Need To Know. Fresh topics or topics addressed from a different angle will stand out to readers. Do not be afraid to challenge commonly accepted opinions with evidence that differs. The amazing advances made in the fields like science and technology offer great new topics. 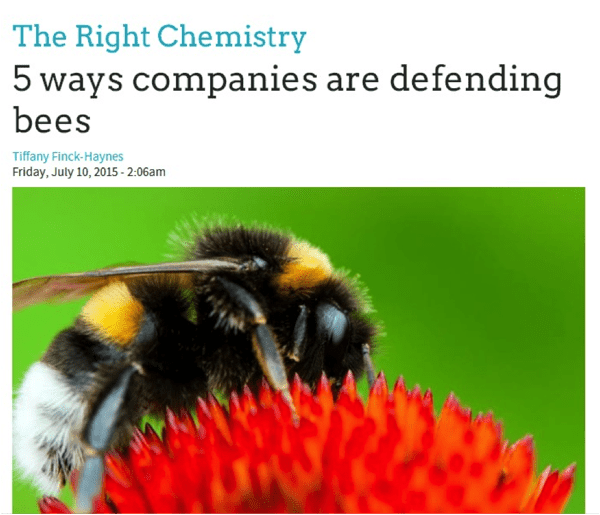 For example, Green Biz presented 5 Ways Companies Are Defending Bees to share safer practices. 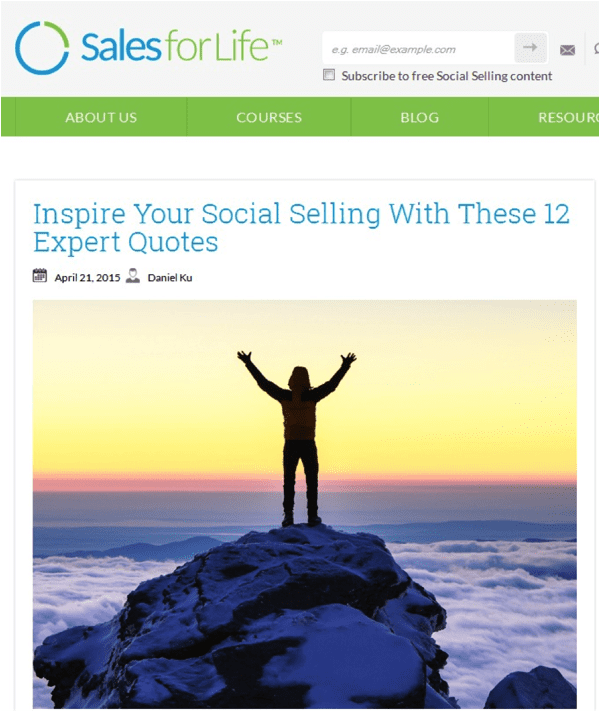 Quoting people identified as experts in your field gives you instant credibility. Do a round-up blog post where you interview several notables about one particular topic. Social media can amplify your message and cause it to reach others faster than we ever imagined. 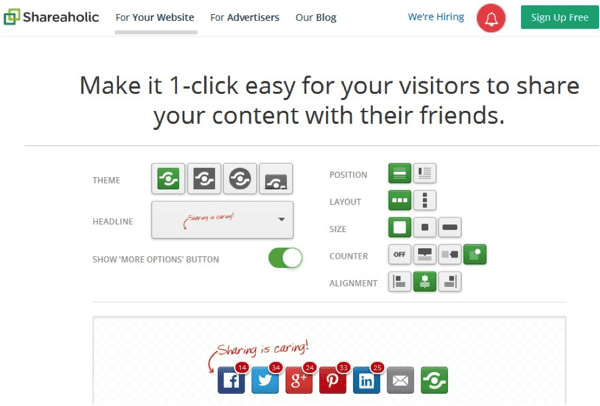 Regularly promote your own blog posts on the most common social media channels your audience uses. After you create a piece of content, you must share it several times so more of your audience sees it. Check out this online networking guide. Readers, now, it is your turn. Share your tips for creating blogging content that gets results in the comments below. 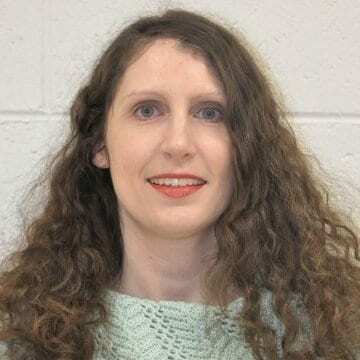 Kristi Dement combined her love of bed and breakfasts and online marketing to be the founder and CEO of Bed and Breakfast Blogging, a hospitality marketing company specializing in strategic blogging and keeping an active social media presence for her clients. You can follow her on Facebook, Pinterest, and Twitter. I must say these must have come from a years of experience of writer. Kudos to writer. What an easy yet accurate description!